I competed in National Novel Writing Month 2010 and won! Writing my first 50,000 words in 30 days was a crazy task, but it inspired me to finally write the stories that I have been keeping in my mind. My first book, Breathe Again (formerlly known as Forgetting Me), is completed and in the revision process thanks to this awesome writing marathon. 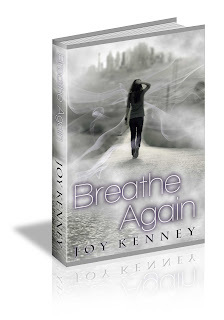 Breathe Again is the story of Brielle Jacobs, a seventeen-year-old girl who learns that she has the power to turn back time - but her ability comes with a cost. Brielle (Bree) has survived a lot in her short life, and her photographic memory forces her to remember every vivid detail. When her mother thinks that a trip to the psychiatrist's office will help Bree to face her past, she has no idea how right she is. Bree discovers that she has a special gift, she can turn back time and change any decisions she has made. The catch? Once she has changed something she blacks out, and when she wakes up she is stuck back in that time, forced to relive the new path she has chosen. While searching for what is true, and hoping profusely that she isn't crazy after all, Bree finds solis in her budding relationship with Jeremy - the too perfect to be true golden-boy that she meets on her first day of school. Their relationship is hard on Bree, who still has trouble trusting anyone despite her best efforts. When her best friend is taken from her, Bree's world crumbles down around her, and suddenly, being in the arms of her childhood crush, Brad, is all she can think about. Everyone has asked the question: "what if?" This story digs down to its very core and exposes the beauty and the tragedy that comes with choice. Breathe Again brings the intensity of The Butterfly Effect, the emotional struggle of My Sister's Keeper, and the heart wrenching love triangle of Twilight together in a story of a girl learning to love, to trust, and to forgive - even herself. 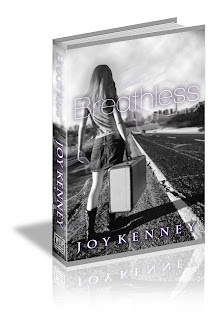 Breathless is the story of Bailey Porter. She is a twice orphaned girl who can see her own future, which is why she was willing to do anything to escape the horrors of her abusive foster family before it was too late. But now she has to face the world on her own, knowing what she's done - what she has become. If you knew pain was coming would you face it, or would you run? She does whatever it takes to get away, making friends and enemies along the way, and heads to the town her deceased parents adopted her from in search of answers. In the town of Ambleside she stumbles upon Ellie, a sharp-witted widow with a big heart and a spare room. Ellie's beautiful Bed and Breakfast is the first place Bailey has felt safe since her parents' death, and a tentative friendship with Ellie's grandson Nathaniel has her wanting to call this place home. Her fragile peace is disrupted when she meets a girl who shares not only her face, but also her mysterious past. Can she trust Bree enough to share her secret, or will she remain in the safety of her own isolation? And when she is faced again with a future of pain, will she she learn from her mistakes and stand her ground, or run for her life? Pushing the boundaries of one girls choice of FIGHT or FLIGHT in a world where learning to trust could make or break her. 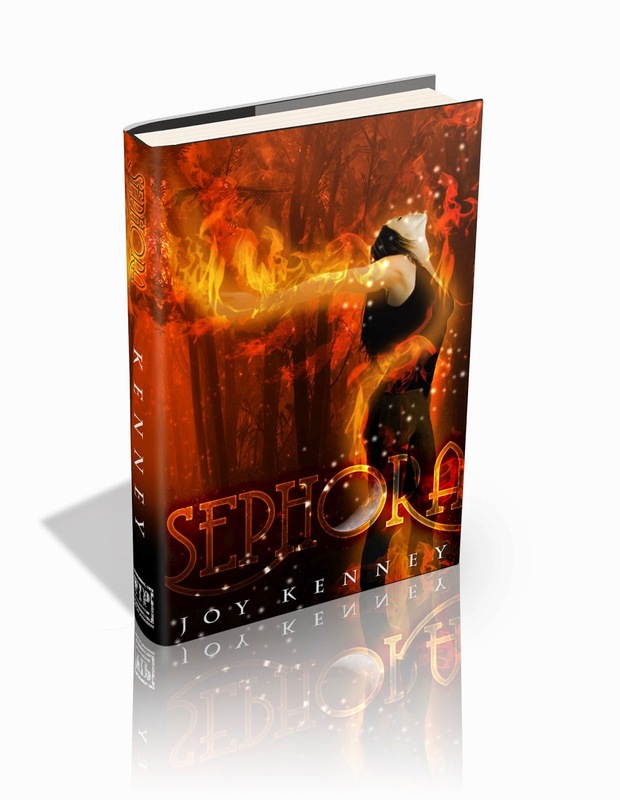 Sephora is the story of Eve Smith, a woman stuck hiding in the witness protection program with her father - always looking over her shoulder for the men who killed her mother and sister. But when a stranger with electric blue eyes and a knife in his hand shows up on her balcony, she has her eyes opened to a whole new world she didn't even know existed. Eve is a descendant of a group of Warriors, or at least that is what the handsome stranger wants her to believe. Separated by a glass door, he visits her each night, tempting her with tales of shape-shifters and an ancient battle for power. Knowing that he will kill her if she steps outside, she has to fight a nearly impossible-to-resist urge to touch him each night, but her resolve is fading and this life of danger and passion seems more appealing by the minute.